Since my childhood I have perceived the Burren Ireland as a spiritual landscape. When I first came to live in the Burren in Ireland toward the end of 2008 for a sabbatical from my sacred tour business Celtic Trails I chose to live on the northeastern edge of the Burren, an intensely spiritual landscape in the west of Ireland (the Burren covers part of County Galway and County Clare). For some while I lived in Lough Cutra Estate, which has the largest privately owned lake in Ireland. If you look at a map you will perhaps notice how its shape bears a close resemblance to the whole island of Ireland. To my amazement when I first was moving in and pulled up at the castle gates to the drive I was blocked by a large van with the name JACQUELINE blazoned across its front, and a number which in ancient Hebrew codes meant “guardian of the land“. Spirit shows us we are on the right track at times in amusing ways. The van moved aside; the electronic gates opened and I was on the long and enchanting driveway to my new home. I started to explore the Burren using a couple of OS maps containing a large earth grid kindly donated by a friend and geomancer Tony Peart of www.templemechanics.com. Though he normally focussed on lands associated with the Knights Templar he felt drawn to the Burren, not ever having visited Ireland. 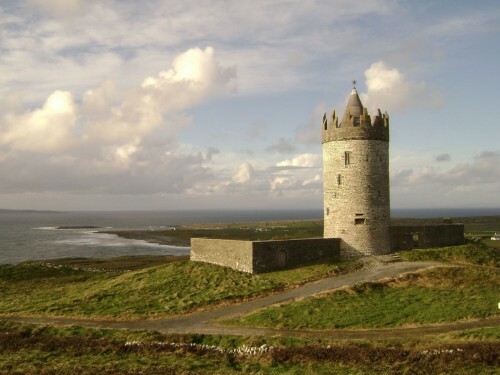 The main point in his pentagram pointed to Doonagore Castle near Doolin, and when he visited he was very excited to see this fairy-tale castle, as he has always loved such buildings. In this talk I condense the energetic experiences of locals and visitors to this beautiful, unspoilt part of Ireland. The Burren is a veritable sacred landscape with very high chakra energy, sharing the high etheric frequencies of the Templar earth grids I studied. This talk illustrates how form follows thought, and how likewise thought can follow form, since it is a two-way energy flow. I dowsed the Metatronic frequencies of the sites and will explain what this means too. If you want to expand your mental horizons and understand more of how the Earth is a sacred, sentient being with whom we can interact, this illustrated talk is a perfect example to follow. 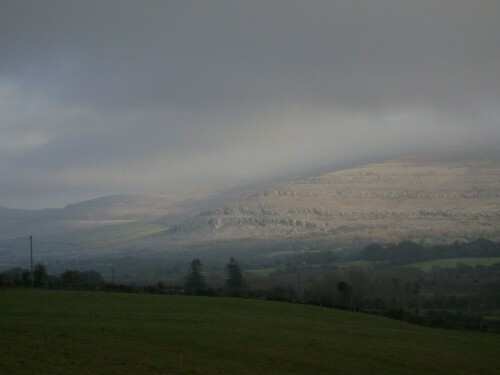 The Burren is used as a metaphor for this process. Enquire here about booking your talk with Earthwise. On behalf of The Irish Society of Diviners I would like to convey our gratitude to you for your very interesting talk on Saturday. All the feedback was good and members enjoyed talking to you after.